which extolls the virtues of the scam site. These scammers are quite industrious to say the least. I'm sure if they started a legitimate site they'd do well. Why they have to scam is apparent, there are just too many idiots out there willing to send their hard earned money to scammers. Its easier for them to steal money rather than earn it. Scammer trying to sell me car off craigslist. "I'm glad you are still interested. The car is in excellent condition, absolutely nothing wrong with it, it's very clean and the engine runs like a swiss watch. The title is in the EZT's possession as well, already signed by me and notarized so they will be responsible for the title transfer. Oh...and the title is clear. Like I said before I will be happy to walk you through the process. 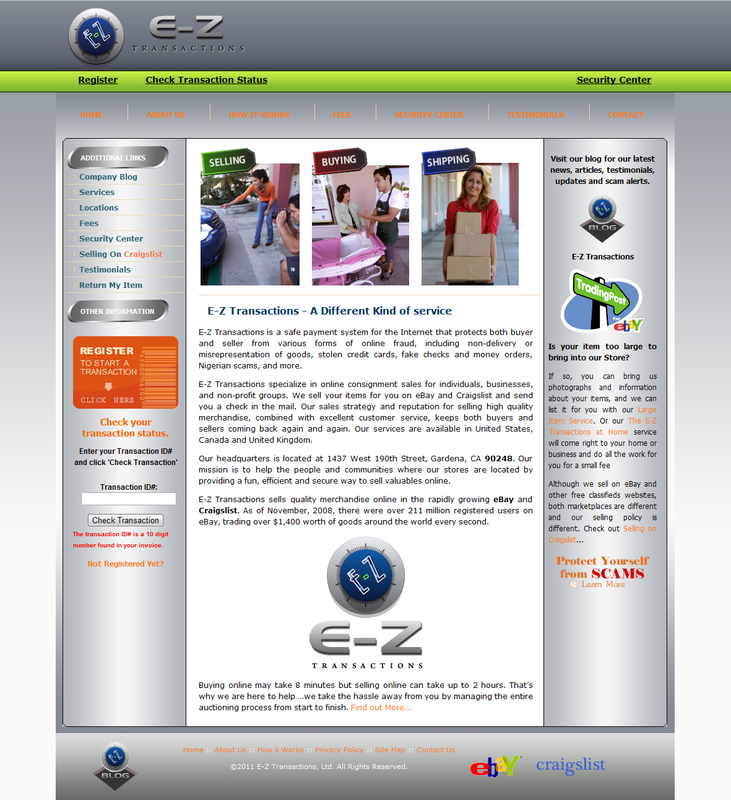 EZT is short for E-Z Transactions and their website is www.ez-transactions.com, maybe now this sounds familiar to you. As they describe themselves, "E-Z Transactions is a safe payment system for the Internet that protects both buyer and seller from various forms of online fraud". I left the car in their possession last week and I just listed it recently on craigslist. The fact that I'm not home will not affect the selling procedure through this service. So the process goes like this: if you agree with the car description and price, you must register on their website and they will send you an invoice with the payment instructions and the transaction details. You send the payment to them and as soon as the payment is confirmed they will start the shipping process, which usually takes between 3 and 5 working days. As soon as you will receive the car, a 10 Day money Back Guarantee starts (which is a standard guarantee for all items listed on Craigslist) and you can inspect it and see if it's everything you expected. This guarantee allows you to return the car if by any chance something is wrong with it, my description was not accurate or I failed to specify something about it's condition. Basically you can return the car with no questions asked and if that's the case the returning process will be free of charge for you, I will be held responsible for all costs. If you like the car and accept it, then you'll sign that you accept it and they will transfer the payment to me. I forgot to mention that the complete process is free of charge for you, the listed price on craigslist already includes all the fees including the shipping and handling, so there is no reason to be scared for any extra fees, there are none. The process is very simple and secure, it may sound a little complicated because I had to explain the whole deal in details, it really isn't complicated at all. I hope you are still interested and if you would like to start the process you need to register at www.ez-transactions.com. If that's the case please make sure you understand the process and read the terms and conditions listed on their website before you register. I will be glad to answer any questions you may have. Yup, here's my scammer email. "'m glad you are still interested. This is a very nice scooter, never crashed or laid down, no cosmetic or electrical problems, it doesn't need anything at this time. The title is in the EZT's possession as well, already signed by me and notarized so they will be responsible for the title transfer. Oh...and the title is clear. Like I said before I will be happy to walk you through the process. EZT is short for E-Z Transactions and their website is ez-transactions. com, maybe now this sounds familiar to you. As they describe themselves, "E-Z Transactions is a safe payment system for the Internet that protects both buyer and seller from various forms of online fraud". I left the scooter in their possession last week and I just listed it recently on craigslist. The fact that I'm not home will not affect the selling procedure through this service. So the process goes like this: if you decide to purchase it, you must register on their website and they will send you an invoice with the payment instructions and the transaction details. You send the payment to them and as soon as the payment is confirmed they will start the shipping process, which usually takes between 3 and 5 working days. As soon as you will receive the scooter, a 10 Day money Back Guarantee starts (which is a standard guarantee for all items listed on Craigslist) and you can inspect it and see if it's everything you expected. This guarantee allows you to return the scooter if by any chance something is wrong with it, my description was not accurate or I failed to specify something about it's condition. Basically you can return it with no questions asked and if that's the case the returning process will be free of charge for you, I will be held responsible for all costs. If you like the scooter and accept it, then you'll sign that you accept it and they will transfer the payment to me. I forgot to mention that the complete process is free of charge for you, the listed price on craigslist already includes all the fees including the shipping and handling, so there is no reason to be scared for any extra fees, there are none. The process is very simple and secure, it may sound a little complicated because I had to explain the whole deal in details, it really isn't complicated at all. I hope you are still interested and if you would like to start the process you need to register at ez-transactions. com. If that's the case please make sure you understand the process and read the terms and conditions listed on their website before you register. I will be glad to answer any questions you may have. Here is the three emails I received from "her"
1) I still have it available but unfortunately I am not home and I can't sell it myself because my sister had a baby and she had some complications so she is still under medical care. Her husband asked me if I can come and take care of things around the house until she gets better. This is no problem for me as far as the transaction is concerned because I was selling this through EZ anyway. I believe you know what EZ is if you buy and sell online often, if you don't I'll be glad to walk you through the process. Let me know if you are still interested and I'll be happy to answer any questions you may have. 2) There you have more pictures. I apologize, I was under the impression that you heard of EZT before since they mostly sell on eBay and Craigslist. I left the item in their possession last week and I just listed it recently on craigslist. The fact that I'm not home will not affect the selling procedure through this service. So the process goes like this: if you agree with the item description and price, you must register on their website and they will send you an invoice with the payment instructions and the transaction details. You send the payment to them and as soon as the payment is confirmed they will start the shipping process, which usually takes between 3 and 5 working days. As soon as you will receive the item, a 10 Day money Back Guarantee starts (which is a standard guarantee for all items listed on Craigslist) and you can inspect it and see if it's everything you expected. This guarantee allows you to return the item if by any chance something is wrong with it, my description was not accurate or I failed to specify something about it's condition. Basically you can return the item with no questions asked and if that's the case the returning process will be free of charge for you, I will be held responsible for all costs. If you accept the item, then you'll sign that you accept it and they will transfer the payment to me. WHAT A F***ING RIPOFF!!! DON'T DO IT!! 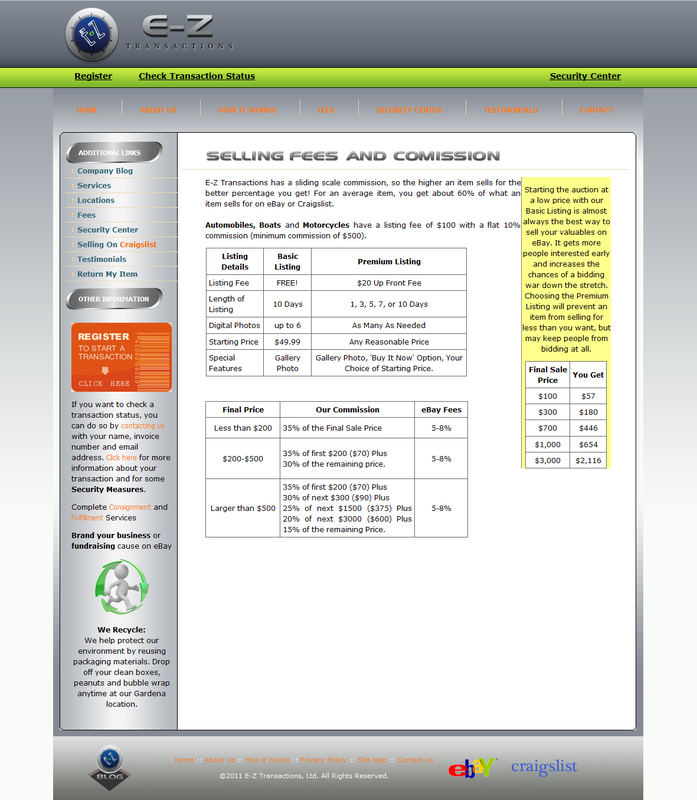 !BUYERS BEWARE OF CRAIGS LIST SCAMMERS AND THANKS TO THIS SITE I OWE YOU ONE!!! I still have it available but unfortunately I am not home and I can't sell it myself because my sister had a baby and she had some complications so she is still under medical care. Her husband asked me if I can come and take care of things around the house until she gets better. This is no problem for me as far as the transaction is concerned because I was selling this through EZ anyway. I believe you know what EZ is if you buy and sell online often, if you don't I'll be glad to walk you through the process. Let me know if you are still interested and I'll be happy to answer any questions you may have. I apologize, I was under the impression that you heard of EZT before since they mostly sell on eBay and Craigslist. Like I said before I will be happy to walk you through the process. 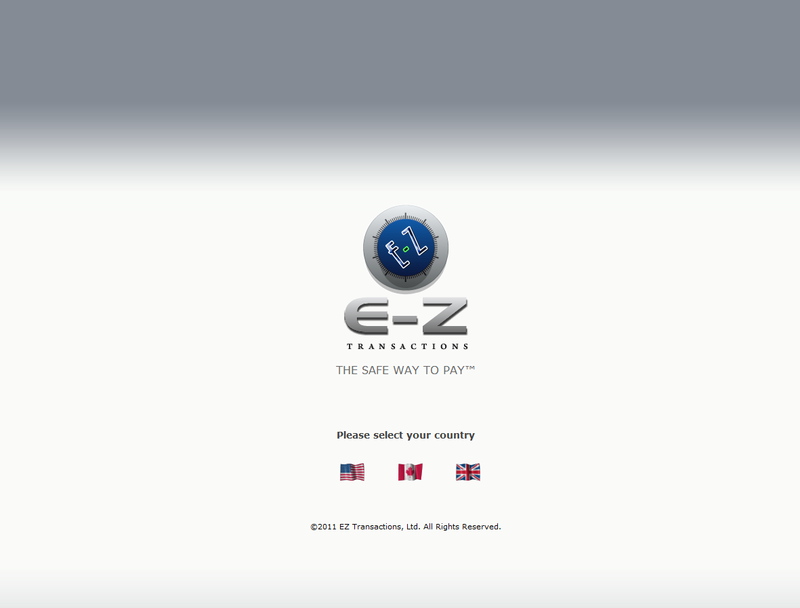 EZT is short for E-Z Transactions and their website is e-ztransactions . com, maybe now this sounds familiar to you. As they describe themselves, "E-Z Transactions is a safe payment system for the Internet that protects both buyer and seller from various forms of online fraud". I forgot to mention that the complete process is free of charge for you, the listed price on craigslist already includes all the fees including the shipping and handling, so there is no reason to be scared for any extra fees, there are none. The process is very simple and secure, it may sound a little complicated because I had to explain the whole deal in details, it really isn't complicated at all. I hope you are still interested and if you would like to start the process you need to register at e-ztransactions . com. If that's the case please make sure you understand the process and read the terms and conditions listed on their website before you register. I will be glad to answer any questions you may have. They've changed their domain name to eznettransactions.com now and are at it again. They are very good at posting losts of positive things about their "service" before they go live. They must be making a killing to put this much time and effort into posting.